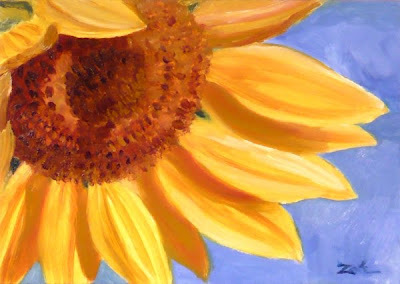 Sunflowers bring brightness to dark winter days. Here is one to cheer you through the whole winter season. This painting has been sold. See more of my art at zehoriginalart.com. Thanks for stopping by.